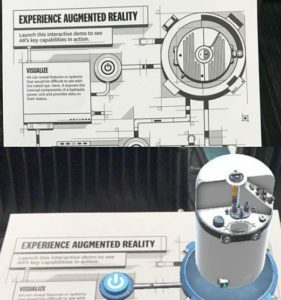 Augmented Reality (AR) is an interactive experience of a real-world environment where the objects that reside in the real-world are “augmented” by computer-generated digital assets. Augmented reality has so much potential in gaming, education, retail and shopping, social media, business and healthcare. This post is an initial discussion on augmented reality for kids and how this technology can bring magic in childhood education to enhance imagination and learning. You might remember one of the most famous applications of AR in recent times, the game Pokémon Go. This game, took the world by storm when people, and not only kids, but people from all ages, could see little Pokémon characters come to life in our real world. 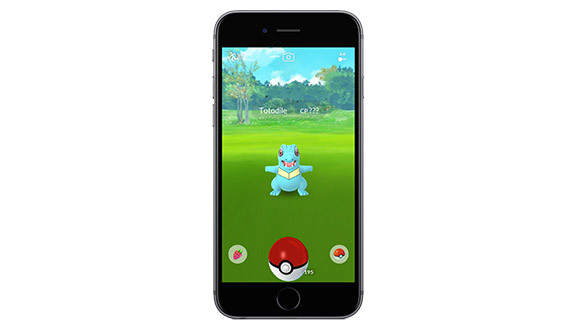 Lots of stores and businesses took the opportunity to add Pokémon interactions in their locations to attract customers wanting to chase and collect Pokémon’s everywhere. Another AR application, but in the retail and shopping sector, is IKEA with its mobile application where users can place furniture from IKEA catalog in their houses to see how they would look like. Definitely, a clever idea to drive more customers and boost sales. Nothing more efficient in sales, than sparking customers’ imagination by letting them see how new furniture and appliances would look in their houses. Many businesses are using AR experiences to bring to life their brochures and documentation. Their employees simply scan a code or stamp and they can see how information gets animated in their mobiles phones. This is an amazing application of AR because it is the simplest one, and yet powerful to allow people access information in a more engaging way using their phones. Imaging exploring a machinery or a particular site such as an electrical substation, and then just by scanning the place with your phone you can see digital information and even icons for extra interactivity to explain more of that object or space in the real world. AR is already used in medicine, enhancing visualization capabilities with 3D visuals to more successfully diagnose patients. Currently, one of the most common uses of AR experiences are filters or stickers in Instagram to add digital items in the screen that will sync with the faces of users and making the experience of taking photos or sharing stories more fun than ever before. Demonstrating complex subjects is another one of AR’s greatest capabilities, allowing learners to engage with spatial content visualized right in front of them. Google launched an AR application for education. Google’s Expeditions AR is an educational experience designed for teachers to show students information in a very engaging way using 3D digital assets with AR. For example, students can explore a map that will come to life when students scan the map with their mobile devices, or they can see the human body and organs in 3D, or take a tour in a famous museum, or see dinosaurs in 3D. The potential is so big, that now we just see some basic uses but they will grow and grow as more quality content and applications are developed in AR. Now the classroom has no excuses anymore to have bored students. There are so many tools in AR to make classes fun and kids will love the interaction with these technologies. Spatial learning is the technique that allows students to engage with 3D content directly, rather than having to imagine it while reading a textbook. But the applications of AR are not limited the classroom. AR in education is a broader area that will allow instructional designers and educators to develop interactive training environments where digital 3D assets will enhance the real world. Provide attractive and effective learning. To play is an essential part in children’s development. It has been researched extensively, that children learn by playing. So, integrating new technologies to toys and play activities will enrich the learning environment and bring some benefits for children. 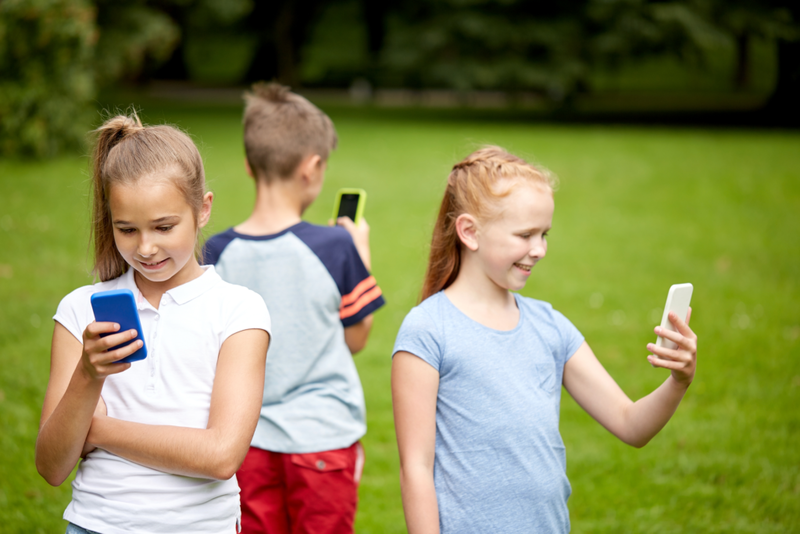 For example, AR technologies enhance the educational value of children’s play and enables physical objects to be seamlessly connected to virtual content. With AR combining the real world with virtual worlds, providing interaction and presenting 3D objects makes AR technology a tool to create a magical feeling causing a high degree of surprise and curiosity in kids (Yilmaz, 2016). The nature of the concept of “toy” has changed considerably over the last decades (Yilmaz, 2016). Recently, there is an increase in children using applications and technologies for games linked with toys. Last December, I bought a train set for my 2 year old boy and the playing experience was enhanced with a mobile app where we could control the train and activate more functions. My child spent more time playing with the extra interactions and I could see how his imagination and motivation increased. These new toys incorporating a digital component through a mobile application or an AR experience are called “smart toys” and are here to stay and get more popular with the advances of technology. Smart toys have some advantages as they integrate multimedia materials in traditional toys, enriching the play, providing a more creative environment, increasing fantasy play and enhancing interaction. 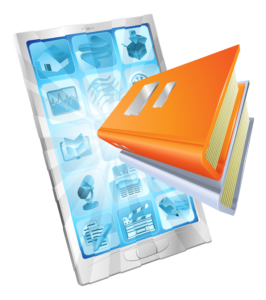 AR has many functionalities, applications and potentials in so many fields. In education, there are already really engaging resources for the classroom such as maps, posters, flashcards and puzzles that have digital 3D images, animations and other multimedia elements that make the resource interactive and stimulating for children. The success of AR will rely on the quality of the content and applications that will be developed. Teachers, educators and parents might find difficult to develop AR applications if they don’t have the technical and programming skills. That’s why technology needs to provide more accessible tools for creators to develop applications easily with more visual tools that will require less programming and technical elements. I consider that this is such a great time for education due to the technologies coming into place to provide rich learning environments with high interactions and great visualizations of 3D digital assets. With the advances of technology it will become easier to develop AR experiences for education. Would you like to explore some AR experiences? Do you think they will provide rich learning environments for children? Google Daydream Impact. Introduction to Augmented Reality and ARCore. Course delivered through Coursera. 2019. Your site is amazing… Packed with information that I’m sure your audience will love. Your design is simple and attractive. Your love for learning is evident in your content. Keep up the good work. What would be great if all these developers that make so much money can possibly go into the schools and do some volunteer work with the teachers? The teachers can then explain to them what they would want to be developed and have it made for them. Then you need to get these programs to the schools that can not afford the iPad or Android devices. It’s a lot of work but would be so beneficial to the children growing up today in this technological world. Thanks so much Jason for reading and commenting. I’ll keep investigating tools for educators that are affordable or even free. Applications and technologies are growing so much that I think not long before teachers will be developing their own AR experiences. What an awesome article about “Augmented Reality”. I totally agree that this technology will be helpful to kids in their learning and development. Playing and having fun would help children learn fast and absorb the knowledge well. It can help them become creative and can develop their being innovative. It would be great if this technology will be used in schools to foster learning. Great article! AR seems to have progressed massively in recent years and I see it used a lot even in toys. My daughter has a toy kitchen and you can link it up with an app and cook recipes, it makes sound effects and tells her when the food is cooked and so on. We don’t use the app that often but I could see her using it as she gets older and it may extend the life of the play kitchen as it’s an additional way of playing. Do you think there is a risk with AR that children are less creative or imaginative? Or is it helping to expand their imaginations by giving them ways to expand their ideas? Thanks for your comment. I think AR is helping children expand their ideas because they have a tool that provides 3D images and experiences incorporated in the real world so they get to develop more visual aspects of learning.